17. What Do I Eat Now? by Neal D. Barnard M.D. Disapointed-Old ideas! Soy is a No , No. For a Dr. that is suppose to be very up to date on the what is happening with foods, this book has really disapointed me! This book is about being a Vegetarian to keep your blood suger down and lose weight, which I do not have any problem with. But I do have a big problem when he says to get your protien, herecommends to eat everything SOY! Soy has now been proven to be one of our unhealthy foods. Its fed to cows, pigs, Chickens etc. to fatten them up. We now know Soy causes, Thyroid problems, Cancer ,etc. We are finding Soy is causeing Obesity in kids and Adults. American Soy as we know it. If you read your food labels,there is sometype of Soy in it, since its so cheap to make. It makes a good filler. Soy story", which I have nothing to do with that book. There are other books about the side effects of soy. I can only give this book a two star given the misinformation about eating Soy. Amazed at blood sugar results. We bought this book back in Feb. 2010. My father has been diagnosed with Type 2 diabetes twenty years ago. About 4 years ago he got lymphoma, two different types. After going through treatments for the cancer, the diabetes went completely out of control. His fasting blood sugars were 230-250 range. He was on Metformin and Glyburide. Finally his doctor said Insulin would be next, and someone suggested this book. He failed Atkin's. Not sure if it was a compliance issue or if the diabetes was too far gone. It took three weeks to see any difference in his fasting blood sugars. He took his blood sugar at least four times a day. After three weeks, he tested one morning and his blood sugar, fasting, had finally dropped to 150's. A month later 120's. At that time, his day time blood sugars were 150 to 200. Three months out, his fasting blood sugars dropped to the 120s. His day time sugars no longer went past 160, 170. Six months out, his fasting is 95-100. His daytime 120-140. The other day, he had a fasting blood sugar of 70. He has been off Metformin since the fourth month. His glyburide has been cut to half pill twice a day. His attending is considering cutting that one altogether. When I sit down and review his book, I see a downward trend in the blood sugar, from the third week on. It just slowly came into normal range. Sweet potatoes, brown rice, beans. Fruit. He makes his own bread with whole wheat flour. He oatmeal everyday. He puts raisins in his bread and eats it toasted with no butter. He did not appear to be over weight when he started but he has lost about 15 pounds. This diet has really been a life saver. If you are dealing with diabetes, give this an honest chance. Very easy to follow and you will not be hungry. When you're ready to FINALLY get healthy - for good! I first heard of Dr. Barnard's program through an informational show he did for PBS and I was astounded that something so simple, so easy to follow, could be the answer... but it is! I put my whole family on the program and within three weeks we've all lost a substantial amount of weight (my husband shed 20lbs in the first two weeks! ), and we all feel fantastic! This is something that we not only CAN do - we look FORWARD to continuing on this path to good health. Try it, try it, try it!! This book is MUST read for anyone who suspects he, she or friends are headed for diabetes.I am one of such and have been helped quite basically by the diet for reversing diabetes without drugs.The diet has so many other benefits that lead to much better health in other areas. This item arrived in a very timely fashion, in very good shape.I would definitely order from this selller again. great book for the newly diagnosed diabetic. gives much detailed information in clear, concise everyday language. goes through the 1st day of diagnosis through the whole first year. i am so grateful for this book.it provides all the practical information the newly diagnosed need, and answers all the questions that you forgot to ask the doctor or thought were too mundane to ask.thank you to the author for providing this invaluable resource. Want to know how to manage diabetes? Leading diabetes expert Dr. Alan Rubin gives you reassuring, authoritative guidance in putting together a state-of-the-art treatment program. You'll learn about all the advances in monitoring glucose, the latest medications, and how to develop a diet and exercise plan to stay healthy. You'll also see how to overcome insurance and on-the-job obstacles. "The Greeks and Romans knew about diabetes. Fortunately, theway they tested for the condition--by tasting the urine--has gone bythe wayside." Diabetes for Dummies has the friendly, quirkystyle you expect from all the For Dummies books, but this is noskim-the-surface Diabetes 101. Rubin has packed this book with usefulinformation, peppered with warm advice for enjoying your life whileliving with diabetes. One of his points is that although you'd rathernot have this disease, you're lucky to have it now instead of a fewdecades ago, because today you can manage diabetes and live aproductive, quality-filled life. I received this book quickly and in the condition stated. It's a very worthwhile read if you have diabetes or care for someone who does! I bought as gift for a family member. It had helpful information but did not have what we were looking for in it. It should of had info on carbs and sugars but it does not. I ordered this as a gift and it arrived in three days. Great service. An excellent basic guide for anyone with diabetes. Like many of the previous reviewers, I was recently diagnosed with type 2 diabetes. It was quite a life change for me, and I immediately went out and searched for foods that would help me control my problem.I also picked up this book and read it cover to cover in one sitting. 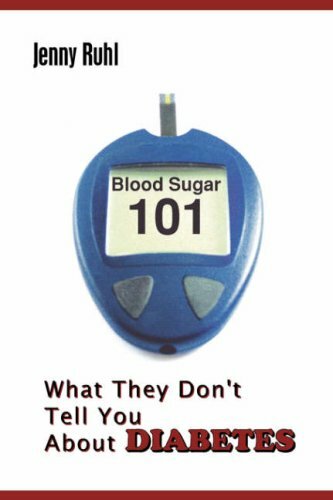 This little book provided the essential information I needed to understand and control my diabetes. This book is organized into 8 chapters.Getting the Lowdown on Diabetes, Understanding Types of Diabetes, Glucose Monitoring and other tests, Investigating Oal Medications, Using Insulin, Looking into a Diabetes Diet Plan, Exercise Plans and Ten Ways to Manage Diabetes. I found this to be a very useful guide when trying to figure out how and what you are supposed to eat when you have diabetes, or even just trying to eat healthy. This gives you allot of information, simply put, right at your fingertips! 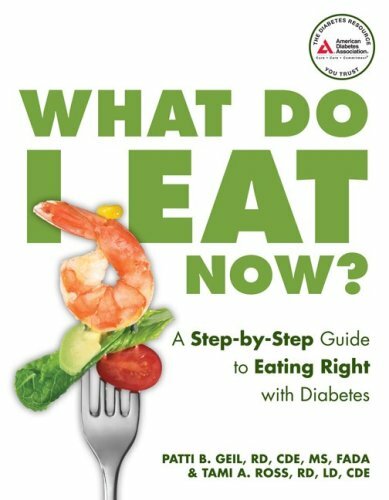 I am new to diabetes and needed to figure out a plan on how to eat this book was just what I needed. 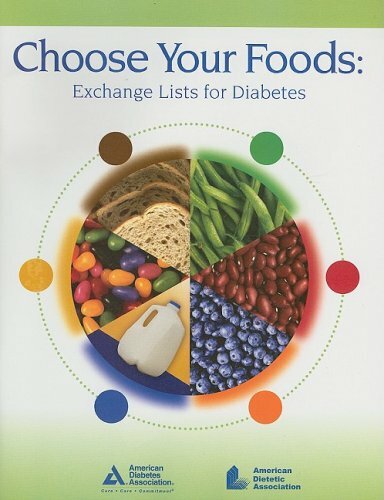 I purchased this for a friend who is newly diagnosed w/Type 2 Diabetes.I was given this same book when I met w/my Diabetes educator.It's a wonderful guide to the food groups for the Diabetic and a great help in meal planning.I would recommend it to anyone who is trying to stick to a Diabetic program. Every day, every meal, millions and millions of people count on the world-famous Exchange Lists for Meal Planning to make sure they're choosing the right kinds of foods and portion sizes from the various food groups. Excellent guide, especially for a newly diagnosed diabetic who wants to follow the recommended diabetic diet. I highly recommend! Expected a much larger book for the price, but info was good to apply for reason I purchased it. Not enough information in this book...wanted one that has counts for restaurants and fast food...prepared foods.. This pocket guide for diabetes is great to carry around to help you with monitoring your diabetes.I found it very helpful, without all the guessing.The great service and the fast delivery of the book also was great. This book is my new bible and has given me the answers I was looking for.I denied or ignored my diabetes to an extent over the years and now that I know I need to take it far more seriously, this book is excellent.I have read many, many books, not knowing what to do.Should I be a vegan to lower my blood sugar even though I'm starving all the time?Should I eat meat?What and how should I eat?What can I do?What am I dong right and what am I doing wrong?This book will answer all of your questions in a simple and easy to understand way.I am now eating low carb and it has helped my blood sugar a lot.Although my sugars aren't perfect, or even in the normal range yet, I feel like I now know which path to take with this frustrating disease and what questions to ask my doctor in order to get better help.I highly recommend this book. 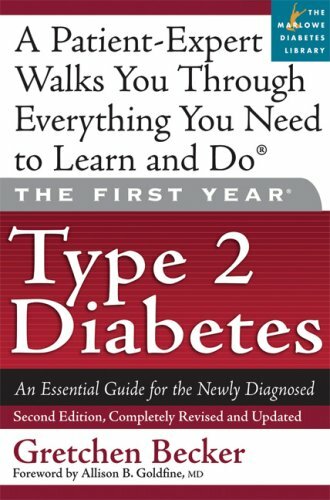 This book is very well written and is easy to understand.It is the best book I have read so far for type 2 diabetes. Very informative book.Author tells it like it is.Great reading.Only complaint is that I have not seen any books warn diabetics about the phoney no carb and one carb Breads being sold that are raising peoples blood sugars to pluto. Under 140, accept eating wierd. This is just what I needed---with an A1c of 9.1 and heading north (getting 200's fasting)on orals and getting worse. I already dropped to 8.0.Book also contains Important truths regarding various oral meds, some negatives that I needed to know.I was NOT getting good info before--I know at least 2 peoplewith different doctors that have been told by their docs they're fine as long as they keep their glucose under 200!This book helped me to surrender to the idea that I would eat weird in order to achieve these goals......and that I would accept paying extra for strips to learn how. Just because you have diabetes doesn't mean you can't enjoy life, eat well, and live healthy! Tell Me What to Eat If I Have Diabetes begins with a detailed, but non-technical overview of diabetes, specifically Type II diabetes. Elaine clearly presents the latest medical findings on what causes diabetes, available treatments, and the dietary implications of this disease. * How to use an individualized carbohydrate budget. * Practical tips to lower dangerous blood lipids. * Quick guide to understanding and using the glycemic index and glycemic load. * Revolutionary fiber tips (because you can't talk about carbohydrates, Type II diabetes, and great health without factoring in fiber). * A list of new foods that may actually help people with Type II diabetes. * Everything you need to know about alternative sweeteners. * An updated section on trans-fatty acids and how to be a "trans-fat" detective. * A new section on smart snacking. * The 10 food steps to freedom. * The latest research and findings on diet and Type II diabetes. * The key steps that have been particularly successful for weight loss in people with Type II diabetes. Basic information that follows ADA guidlines. If you are really interested in knowing how to control BG with diet and exercise without medications you won't find it here. This is a quick and easy read at 217 pages and recently updated. Mrs Magee sets it mostly up like a question and answer format. Has good large print for those of us who are having eye problems due to our diabetes. There are good and SOUND reference as to what to eat, carbs, restaurants, glycemic index and glycemic loading [etc]. Which after reading several books on glycemic index, it makes more sense in Mrs Magee's book that the other three I've read. BUT I still dont understand glycemic index and glycemic load. Will admit, I'm a bit lazy about weighing food and doing the math. :) There are good recipe exchanges and suggestions. She does have a few restaurant carb breakdown listings. Overall this is a good reference book on nutrition ONLY!! I knew nothing about type 2 diabetes when I was diagnoised with it 3 weeks ago. I was sent home with very little information from my doctor other than the damage it can cause to my body and health. I was scared to eat anything because I didn't know what to eat. I got on Amazon.com and ordered 4 books. Of the 4 books I ordered, this book was extremely helpful. I am starting to see my glucose levels come down. And feeling a little more relaxed. I highly recommend this book. I purchased this book for a friend who loved it! Great product & service! Thanks! The standard text on living with diabetes, newly revised and updated with all the latest scientific findings. Since its first publication in 1997, DR. BERNSTEIN'S DIABETES SOLUTION has become the treatment of choice in the medical field. In this revised and updated edition of his work, Dr. Bernstein provides an accessible, detailed guide to his revolutionary approach to normalizing blood sugars and thereby preventing or reversing long-term complications of diabetes. He offers the most up-to-date information on new products, medications, and supplements, and outlines a plan to reverse the obesity that underlies most cases of Type II diabetes. Dr. Bernstein discusses breakthrough science and potential cures, and has added information on the new insulins and insulin pumps. I was always scared to cut carbs out of my diet, because it seems like there has been some negative press for doing so.But, as Dr. Bernstein notes in his book, you never hear of "essential carbohydrate. "Essential fats?Yes.Essential proteins?Yes. Within 1 week of reading the first 1/3 of the book, my blood sugars have not gone above 120 or below 70.And I feel great.And I'm losing weight. If you want to get better control of your diabetes, reverse Type II (adult-onset) diabetes, or avoid ever getting diabetes, this is the absolute best investment you will ever make.Dr. 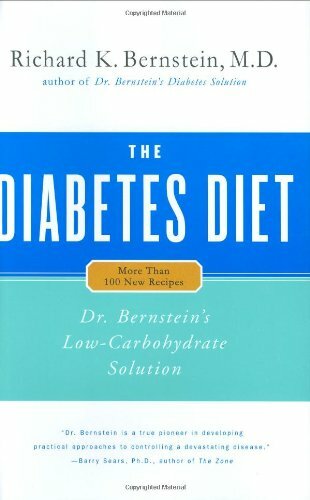 Bernstein (the author) is a Type I diabetic.He puts in the book what he has been doing to save his own life, and he has had diabetes for 60 years now.The doctor you see for your regular checkups?Unless he is diabetic, he is more worried about his lawn's health than he is your health. Get the truth from the man who has had the disease for 60+ years, understands the disease, and is on your side. Dr. Richard K.Bernstein's Book is Well Named. I highly recommend this book to anyone who is a diabetic or a diabetic caretaker.Although I was identified as a diabetic Type II about 6 years ago, and I've read many books about diabetes,and nutritional recommendations, this book explains and informs in easy to understand language ALL you need to know about controllingdiabetes Type I or II.Once I made the changes in my diet and daily physical exercise that Dr. Richard K. Bernstein suggested, I was able to test within the high normal range with exercise and modified meals. I'm grateful to Dr. Bernstein for taking the time to write about a complex disease with severe consequences if it is not controlled. By the way, Dr. Bernstein has been s a Type I diabetic for over 60 years.He knows what he's talking about from personal experience and from a medical doctor's point of view. I purchased this book in November in an effort to try and better manage my Type 2 diabetes which was is a state of deterioration. At first, I wasn't sure that it would be doable, however within in month I was losing weight without being hungry, by putting Dr Bernstein's recommendations into practice. My blood glucose readings were also improved. The HBA1C was reduced from 7.9% in one month and then in May it was 5.3%. I have also lost 30lb in weight. Now 8 month later, I have BGL reading in the 80-90s. Dr Bernsteins book contains pretty much all the tools and information to help a motivated person take charge of their health. I, like many others, have diligently followed the usual suspects, like the ADAs recommendations, without seeing improvement in my health, just getting fatter and fatter and sicker. This is the only program that I have found that gets results. It requires commitment and an acknowledgement that diabetes is a serious disease that requires serious management. If you follow the program you will get results, enjoy better health and stave off the awful complications. This is the bible for diabetics and low carbers! 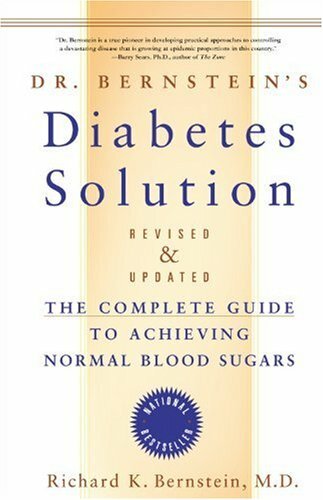 This book is the absolute bible for diabetics and folks who want to improve their diets by greatly reducing their carbohydrates.I have been a follower for almost 3 years (am a Type 2) and this man and his book have improved my life greatly.It's not easy to follow at first but it is considerably easier than killing yourself with high blood sugars.I am a convinced this is the way we all should be eating- not just diabetics and I'm a pretty skeptical person.I have read this book at least 4 times from cover to cover and refer to it weekly.Buy it and follow it religiously.It will change your life-for the better! I am a member of the Skeptics Society, so I am no friend of "alternative" medicine, quackery, conspiracy theories, etc. But, in the case of diet and diabetes medicine, it's the establishment-- ADA, AMA, US Dept. of Agriculture, etc. that are the quacks. A charge of "Conspiracy" is a bit extreme, but the processed food industry, Big Agra, Big Pharma, and miss-informed medical professionals all have a vested interest in the status quo. With mounting scientific evidence that blood sugar control through low-carb is superior to high-carb/low fat, the ADA, etc., have changed their criticism to "Well, it may work, but it's a diet that no one can adhere to..."
I haven't seen any scientific studies of rate of adherence to ADA-type recommendations, but how many people do you know who lose weight permanently on these diets? The first winner of "The Biggest Loser" is now as heavy ever. One website did an extrapolation from the scant data on the success rate of a popular for-profit weight reduction club that usesa diet aligned with the current US Food Pyramid. Result: only 2 out of 1,000 members reach their goal and maintain it for 6 months. Could a low-carb diet be any worse? Following Dr. Bernstein's recommendations, I maintain normal blood sugar 24/7 without insulin or drugs. I probably would no longer be flagged as diabetic by many tests. A low carb diet is a bit monotonous, but it completely removes my cravings for sweets. On the ADA diet, I was constantly fighting urges for baked goods and snacks. by Jack Challem, Ron Hunninghake M.D. "As usual, Jack Challem has brought us a book right on target and ahead of the health curve. This surprising, unbiased book tells the truth about a condition that has clearly become a hidden epidemic in this country. 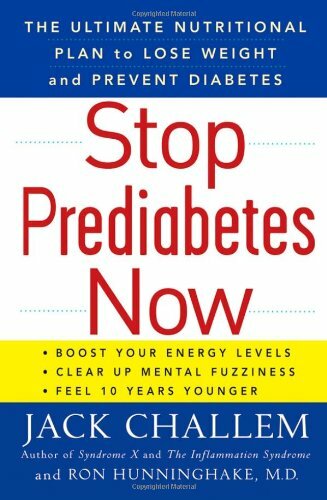 Stop Prediabetes Now is one of the most important books to be published in a very long time." "In this important and timely book, Jack Challem and Dr. Ron Hunninghake explain what most doctors can't-that type 2 diabetes and prediabetes can actually be reversed and eliminated by eating properly, exercising, and controlling weight. 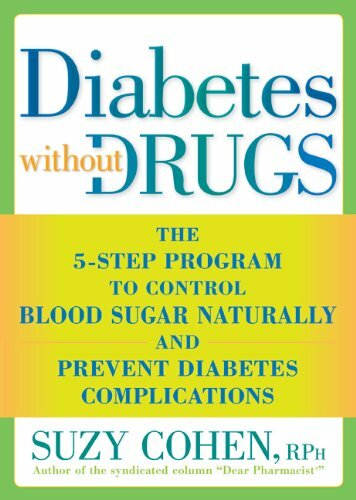 The authors have demystified diabetes and made the solution clear and accessible to everyone. If everyone followed the advice in Stop Prediabetes Now, we would have a much healthier world." "Diabetes and prediabetes are nutritional diseases, and the best way to prevent and reverse them is through nutrition. Once again, Jack Challem shows that he's ahead of the curve with practical advice for improving eating habits and taking nutritional supplements." "Prediabetes has become a modern epidemic, about to overshadow every other health problem. Jack Challem and Dr. Ron Hunninghake have pieced together the research and clinical experience to create an easy-to-follow plan that everyone can use to prevent and reverse prediabetes and diabetes and their devastating health consequences. This is a must-read for anyone who wants to stay healthy and alive." "The epidemics of prediabetes and overweight are having catastrophic health consequences. This book provides the solution, with detailed yet easy-to-follow advice on eating, taking supplements, and engaging in more physical activity. By preventing and reversing prediabetes and overweight, we'll save billions of dollars-and millions of lives." This is a great book if you have high blood sugar.The only change I wish they would make is that in the list of foods to eat it does not list all the foods that you find in the book's recipes. This is a very practical and readable book.It outlines some very useful advice on how to control your blood sugar and likewise some good advice on a healthful diet.Not a 'diet book' but instead a guide to eating for good health. My only objection is that it does seem to be a bit harsh in it's treatment of carbs--especially wheat and grains.However that said, it does justify this argument with scientific facts and presents evidence for all it's arguments. All in all, I think it is the best book I've read on this subject in a while and I've already begun to implement some of it's suggestions.In my opinion it is well worth buying. I got amazing results in 3 weeks! Recently found out that my fasting glucose level was 101 ml and my total cholesterol was 320. I got this book hoping to reduce my glucose level and got a lot more than I expected. All I did was following the eating principals in this book and exercised 5x a week. As a result, my fasting glucose went from 101 ml (prediabetic score) to 80 ml (normal score). In addition, my total cholesterol went from 320 to 188! My LDL went from 220 to 121 and my HDL went up. My triglycerides went from 188 to 58. I really could not believe the dramatic change in my overall lab work as a result of reading and implementing the material in this book. I highly recommend this book to anyone that wants to improve their health! I am about half way through this book and have already learned a great deal about what is in our food, how it affects us, and what foods should be avoided. This book also keeps me focused on my goals. There is encouragement through short stories that are inspiring. 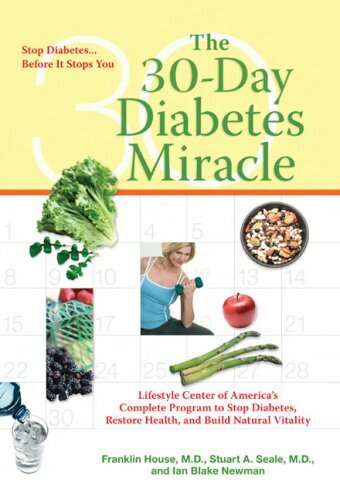 you do not have to be diabetic or pre-diabetic to get practical use from this book. I highly recommend this book. I bought this book because my husband was in complete denial of his situation. BMI of 35 but unwilling to admit to being over weight. He was very athletic when he was younger and look good and was fit at 220lb. Now at 45 and 235 with no exercise for years he is in danger. His father is a diabetic ampute. In fear for his health I got him this book. In 3 weeks he's down 10 lb is on the cardio machine or lifting every day. His blood work is already better. As scientist we both like detailed well research information. This book delivers and even more importantly has a plan that is easy to implement. After all reading a bunch of facts can be over whelming and not lead to action. This book does both. If you have diabetes, you may wish to read this book. 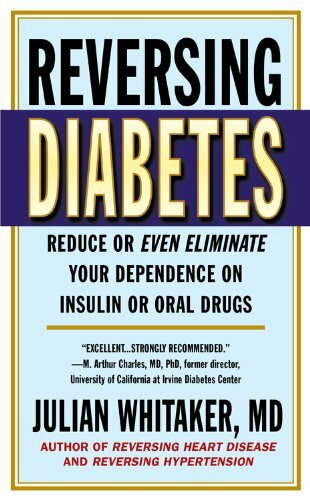 I have a number of diabetes books in my personal library but as new books are published with more up to date information, I gain more insight about the disease and the steps I can use to deal with the issue. Example: I have read in other books that I should avoid all products made with white flour but was never explained why. This book explains how the alloxan toxin is created in the process of making flour white and how this toxin damages the pancreas. I like the idea of doing things that may actually help the disease rather than taking drugs that only mask the symptoms of the disease. The author lists many supplements that may help the disease or lessen the effects. Save your life, get this book.Probably the best book on treating type 2 diabetes out there. (also some recommendations for type 1 folk).Did you know there is a type 3?Recommendations on natural vitamins, herbs, diet and exercise to help complete a 'holistic' life. Even for non-diabetics, easy to do improvements in your lifestyle to live a long and healthy life.Highly recommended! Fantastic information for anyone who wants to get healthy even with diabetes, doing it the natural way. Suzy gives great advice on many nutritional subjects, tells about certain supplements and has delicious recipes included. The book is very easy reading, down to earth, and is quite humorous at times. Suzy is an outstanding speaker and author. 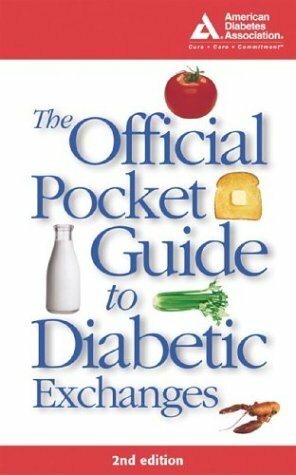 This book should be in every diabetic's library! A revolutionary program for combating and reversing diabetes. I found this book very helpfull. The diet I would not use. But the infor was very good. I don't like this book because it uses some hard-to-find ingredients in the recipes.I only need menus that use natural ingredients, simply cooked.I wish you had the book back. As an Adult Type 1, diagnosed 4 yrs ago at age 44, or for any Type 1s probably----beware of this diet!I'm not talking about the people who had unhealthy lifestyle/diets before or Type 2 diabetics.This diet skims the surface for us.I tried it for only a week.Thinking I could "rid" myself of thisdisease....bad idea. The menus:contains oatmeal and lots of beans, etc....My blood sugars went sky high.Be careful!I am insulin-dependent, 4-5 shots / day.I emailed the publisher and asked them to be more careful with their verbage....just assuming that all diabetics can benefit from this diet.Please.I tried it.After breakfast, took a vigorous hike and still was at 290 at lunch time. If you're Type 2, great, try the book/diet.But the rest ofyou like me, BEWARE! Just a quick comment since so many others have commented in detail. My mother recently received a diagnosis of Type-2 diabetes; therefore, my knowledge is limited but growing daily. This book presents a broad range of sound, helpful information in a clear, easy to understand format. It also has portions which cause me concern (based on healthy nutrition in general), like recommending you skip dinner altogether and, instead, get all your calories at breakfast and lunch. They do still offer support information to readers of the book at the site diabetes miracle.org where the password to access further information is "miracle".([... ]).The site is worth checking out for detailed imformation on a number of diabetes-related topics and a sample journal. I could find no mention anywhere on the site about how long they will continue to offer this website. Best of luck to all you seekers of health. As a Health and Wellness Coach I found this book to be a great encouragement for those with diabetes themselves or in the family.The information is well written and documented.The recipes are excellent tasting and well balanced.I highly recommend this book to those without diabetes as the principles apply to other chronic diseases as well as those without overt disease. Excellent and empowering information. Easy to understand, easy to follow the suggestions for both diet, supplements, and exercise. I am never hungry, and have lost weight, even though I didn't need to. I feel much better and even the small amount of exercise has toned my muscles to the point where I have better endurance and energy. So, I don't mind doing more things like walking, swimming, and stretching. I am pre-diabetic, so I will be getting a blood sugar test in a few months to see if my fasting glucose is better. Then will report the results. Breaks down everything to the simply truth. With this knowledge it's now up to us to listen if we want to better our lives.Wonderful insight in to the reality of too much protein consumption and how too much dairy can be harmful.A must read!!!!! The book I ordered was in good condition as described.Very pleased with purchase. Very good book. Read it and followed what it said and my sugar readings went from 250-350 to 113-201. This book was at a good price and money well spent. i got the book fast. and it looks like new. very happy with my purchase!! 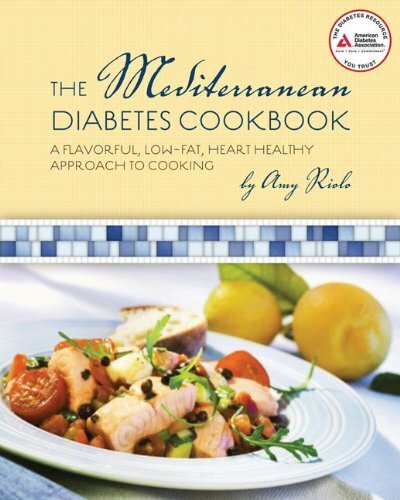 This is an informative cookbook about diabetes, not just recipes, but also Ada.info too. I'm very happy with my purchase. Excellent!! For some reason this book was not quite like I expected. But I like it.It was in excellent condition and the packaging was excellent. Your part was done very well. 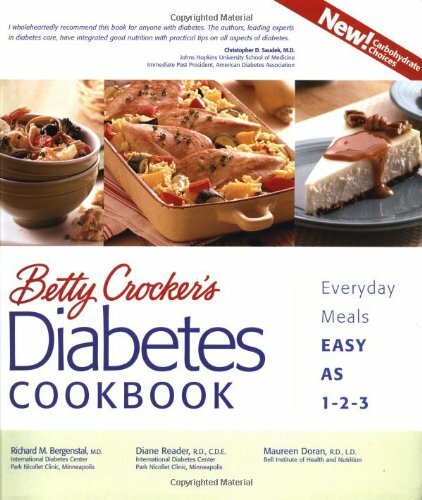 This is by far the best Diabetes Cookbook out there.The recipes tell you exactly how many carb servings there are and it is very organized and easy to find what you need. The recipes, too, make you feel like you are cheating.Every recipe I tried is absolutely delicious! Dr. Gabriel Cousens should be celebrated now as one of the most ingenious doctors of our time! Other physicians should all be required to study his findings. Dr. Cousens is obviously a genius and could benefit from a well-organized and practical editor (probably female mind - no offense intended). The book is a bit scattered and no real layout of food ideas organized to follow easily. I was 100% raw for over a year when I got the book, so I already had a pretty good understanding of practical implementation. Still I found it difficult to incorporate an improved regimen from this book (my reason for the purchase). I can say that my diabetes has all but vanished (from 9.0 A1C with meds. to 6.1 A1C without meds). My heartburn is gone for good, all my bloodwork is great, and I don't catch colds or flu anymore. About this book. Excellent. Just like the other reviews. For those who would prefer to read the book in Spanish, please google "Hay una Cura para laDiabetes - Gabriel Cousens". You should find it in his Tree of Culture Store online. The book was for my wife.We could not find it at any bookstore.Thank you for such prompt, wonderful service.The book is a gem and my wife is learning many new things. 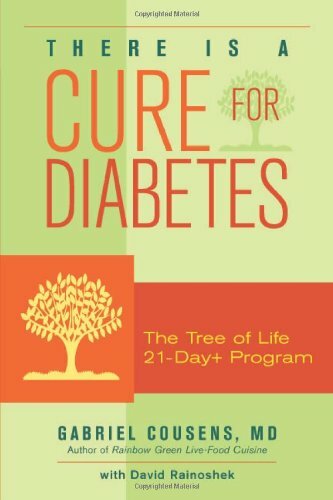 This technical book offers helpful advice in reducing weight and blood sugar levels.On the other hand, Dr. Cousens' plan is extreme, expensive and confusing.As other reviewers noted, not many people could subsist on the Tree of Life program, at least not without help from the costly Tree of Life Rejuvenation Center.The book does include beneficial information, such as beanpod tea use and lists of essential foods, juices, herbs, vitamins and minerals.Take that information and practice as diligently as possible.Personally I find the book's rigid regimen near impossible to maintain, at least to the levels Dr. Cousens requires.I have found a more do-able diet/lifestyle approach by reading and following the free advice of David Mendosa at [...].This website is crammed full of useful information trying to achieve the same goals as Dr. Cousens' book--but it's easier to understand and practice in real life. 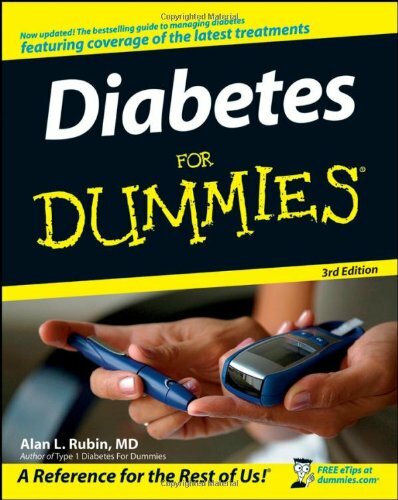 I purchase the book in hopes of finding information on how to treat my own diabetes. I found the information in the book to be old and out of date. The diet itself will be almost impossible to stick to as it cuts out most foods except for a small list which is in the book. The author recommends purchasing Da Vinci syrups and claims it will have no effect on blood sugar. I did purchase the syrup and it spiked my blood sugar almost immediately. Look up the author on the internet and you will find little support for his approach. I would recommend you look elsewhere for ways to treat your diabetes. 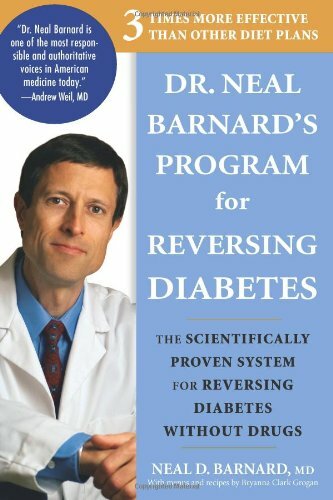 My doctor recommended this book after I noticed he had lost a lot of weight (he is pre-diabetic and checks his own blood glucose). I am overweight rather than diabetic and definitely was using foods high in carbs to make myself feel better. I have only been using Dr. Bernstein's guidelines for a short time, but already my clothes are getting much looser. It's been very hard cutting out the breads and cereals I love but I am actually feeling better enough to make it worth it. My doctor had been recommending eating fewer carbs for a long time. Highly recommend for anyone. For those of us with diabetes a really useful book, full of information about this disease and suggestions for what to eat and ESPECIALLY what not to eat. The DIY approach to a diabetes diet! What Do I Eat Now? is the single best resource for peoplewith diabetes to learn how to eat right and eathealthy with diabetes. Each chapter explains a vital conceptof diabetes nutrition in easy-to-understandlanguage. “Tell Me What to Eat” meal plans and recipesat the end of each chapter get readers started on a lifetimeof healthy eating. Don’t waste time trying to figureeverything out from scratch when What Do I Eat Now?gives readers a step-by-step plan for understandinghow to eat right. Learn as you go by cooking healthy,nutritious, and flavorful diabetic meals! I am very satisfied with using Amazon.com to order books.The service is fast and accurate. The book What Do I Eat Now?is very informative.It is easy reading and a step by step guide to changing my eating habits to healthier ones.I would recommend this book to anyone who has just been diagnosed with diabetes.It really helps. I purchased this for a friend who was newly diagnosed with Type 2 Diabetes.I also purchased one for myself even though I have been dealing with this disease for over 20 years. I found this book somewhat helpful, especially for the newly diagnosed patient.It lets you know you don't have to give up the foods you love, just eat them in moderation. I would recommend this book, especially for the newly diagnosed patient. This book takes the fear out of the "now what can I eat" anxiety.It is very simple and straight foward reading.I highly reccommend this book for the person who has been newly diagnosed with diabetes...it has helped out my family. LET BOB GREENE HELP YOU TAKE CONTROL OF YOUR HEALTH AND CLAIM THE LIFE YOU DESERVE!BOB GREENE has helped millions of Americans become fit and healthy with his life-changing Best Life plan. Now, for the first time, Oprah’s trusted expert on diet and fitness teams up with a leading endocrinologist and an expert dietitian to offer a Best Life program tailored to the needs of people with diabetes and pre-diabetes. Coping with the unique challenges of living with these conditions can feel like a full-time job, but The Best Life Guide to Managing Diabetes and Pre-Diabetes gives you a gradual, three-phase plan designed to improve your blood sugar and stave off heart disease, neuropathy, and other diabetes- and pre-diabetes-related conditions. Whether you are controlling your disease simply with diet and exercise, taking drugs orally, or need injected insulin, this comprehensive volume gives you all the information you need to stay healthy and motivated. Detailed but flexible meal plans take the guesswork out of eating, and recipes for budget- and family-friendly dishes come with complete nutritional analyses. Extensive reference sections, including a complete guide to diabetes drugs and a chart of the carbohydrate value of foods, give you quick answers you can trust, while a log for tracking your blood sugar readings, exercise, diet, and medication helps you stay organized without hassle or added expense. 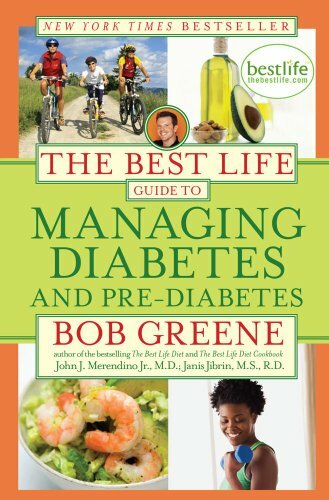 The Best Life Guide to Managing Diabetes and Pre-Diabetes is a terrific book I wish I'd had 15 years ago, before I was diagnosed with Type II Diabetes. I might not have wound up with the disease if I'd had this information in the Pre-Diabetic stage. 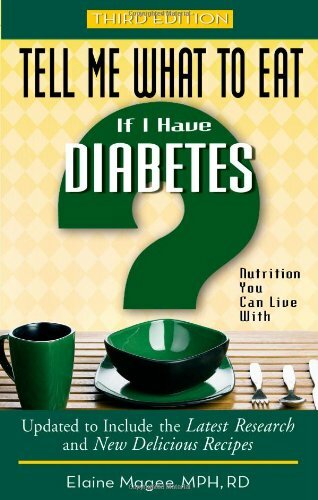 I recommend every Type II Diabetic buy and read this book. Easy to read, with practical plan to be followed. I've entered into the pre-diabetic range for the last two years, and I've managed my diet and exercise to avoid getting into diabetes. Besides getting the routine semi-annual lab blood testing, I also purchase the do-it-yourself glucose tester to monitor my blood sugar on monthly basis. Over the past two years, I read some books about diabetes. Comparing with other books that I read, this book offers a useful, sensible approach to deal with this problem. The strategies outlined here are workable and the information is well presented. The author understands that no one can make every needed changes all at once, so he encourages readers to takes steps in several phases. Also, the various meal plan examples in this book are reasonable....while meal plans on some other books tend to be out of ordinary of what most people will regularly make and eat....their meal plans are either too fancy for everyday meals, or expensive for everyday meals. In summary, this is a book worth reading and keeping. I am prediabetic and am struggling to turn things around.This book offers a useful, sensible approach to dealing with this problem.I learned more about understanding my blood glucose tests than I did working with a diabetes educator.The recipes are nice.The suggestions for becoming more active are gently approached for those struggling with exercise. I read many diet and nutrition books -- this is one I will keep and refer to many times. Follow the recommnedations in this book to save your life! Or at least to improve the quality of it.It's time to get serious. A start is to read this no-nonsense, well-organized book on the subject. The strategies outlined here are workable, and the information is well presented. The information in this book is life saving. The Mediterranean style of cooking has been medically proven to be good for people with diabetes—and for good reason. Rich in heart-healthy fiber, nutrients, omega-3 fatty acids, and antioxidants, this delicious diet of fruits, vegetables, lean meats and whole-grains can help lower blood pressure and risk for heart disease— all beneficial for people with type 2 diabetes. Based on traditional recipes from Italy, Turkey, Egypt, Morocco, and many other Mediterranean countries, this collection of delicious meals provides a time-tested tradition of healthy eating. While some may find this cookbook to be useful I found it contained recipes which I'm unable to use due to my particular diabetic condition. This is a great book with easy to follow recipes for the concerned diabetic. Absolutely no reason to feel deprived by being on a "restricted" diet. Healthy, fun and varied food choices. This is a great book.Easy to understand instructions and tips with ingredients that can easily be obtained in grocery stores.It also features a section on how to make and store your own spice blends.Some blends may prove harder to find and having recipes to make your own really makes the job easy. I have tried several of the meals and find them easy to prepare, wonderful in taste and very presentable on the table. Even if you don't suffer from diabetes, this is a great fresh food/healthy eating collection. This cookbook has some of the best recipes I've seen, diabetic or not. I can't wait to try some of them.It's encouraging to know that we don't have to be stuck with a boring and bland diet. Diabetes puts people at a very high risk of having a heart attack or stroke. 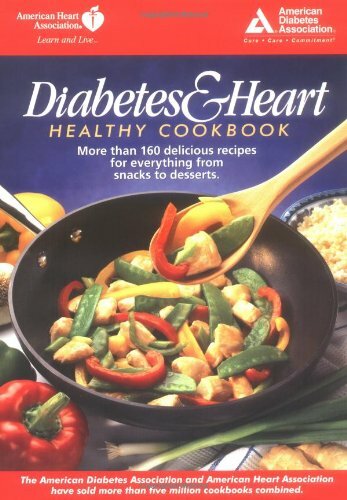 To address this problem, the American Heart Association and the American Diabetes Association have written a heart-healthy cookbook for people with diabetes. It's truly a one-of-a-kind cookbook packed with delicious recipes people will truly enjoy! Every recipe is low fat and lower in carbohydrates--and tastes great. Recipes include everything from appetizers and breakfasts to dinners and desserts. With cardiovascular disease ranking number one on the list of diabetes-related complications, this is the must-have cookbook for anyone who wants to pump up his or her heart health! And it's great for people who don't have diabetes, too. I don't do much cooking and don't particularly like to cook but I've found these recipes fairly easy and very tasty and best of all they have ingredients that are easily found at the local grocery store.It's smaller than most cookbooks so you don't feel like you're weight training with it.I'd give it 5 stars but it's a cookbook so the most I can manage is 4. Highly recommend it. If you like iceberg lettuce and fish sticks and think that Italian parsley and cilantro are interchangeable in a salsa recipe, then you might like this cookbook. For the rest of us, it's another one that carries the AHA and ADA approval imprints, which blows the credibility of any cookbook that does for me. Try the EatingWell one. One of the best cookbooks! I really like the recipes in this book. Easy to follow and make. Everything I have tried has been very good.One of the best cookbooks I have found for both diabetes and heart healthy meals. Devil's Food Cupcakes are Divine! I bought this as a gift for my mom, who is a diabetic/heart patient, for her birthday.I decided to use the Devil's Food Cupcake recipe to make her birthday cake.YUM!My whole family (including hubby, teenager, and picky 9 year old) thought it was great and didn't think it tasted at all like a special diet recipe.Two weeks after ordering this for my mom, I myself found out that I'm pre-diabetic and will be ordering myself a copy of this book very soon. This book is full of great recipes whether you have diabetes or not. I have many many favorite recipes from this book. Most are easy to prepare.